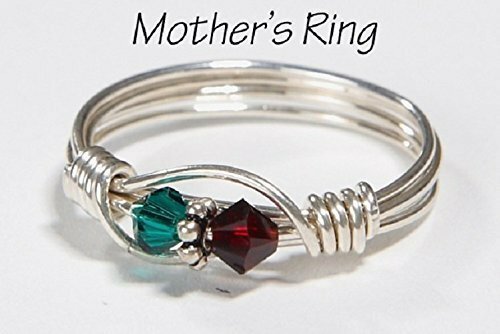 Mothers birthstone jewelry makes a wonderful gift for Mom for Mother’s Day, but which type is best? Mothers’ Day in the United States is the second Sunday in May. It’s a day to celebrate mothers, motherhood, and the maternal bond between a woman and her child. The first Mothers’ Day was celebrated in 1908. This post contains affiliate links, and I will receive compensation if you make a purchase after clicking on my links. So, what type of Mothers’ birthstone jewelry is best and what should you consider when making your choice? 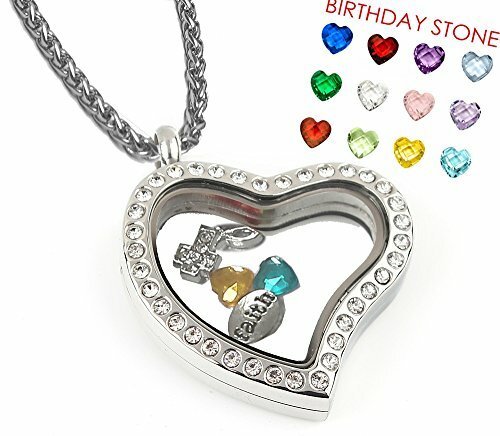 Traditionally, jewelry for Mothers’ Day contains the birthstones of each child and/or grandchild. 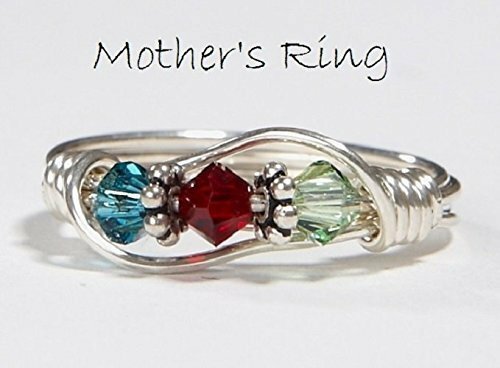 A mothers birthstone ring may be an ideal choice for a woman who doesn’t typically wear necklaces or bracelets. I’m allergic to nickel and often necklaces or bracelets cause a rash. My hands are not as sensitive so I can wear rings without a problem. If you have a sensitivity to jewelry you may want to learn more about skin irritation caused by jewelry. 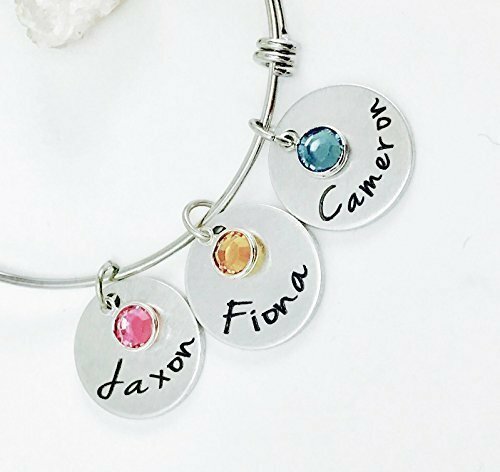 Personalized birthstone rings and stackable mothers rings can contain the names of each child as well as a birthstone. 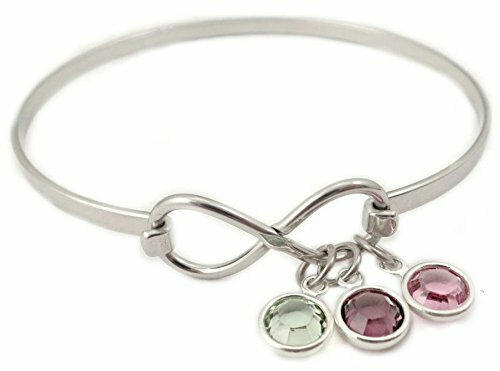 If your mother wears bracelets, you may want to consider a mothers birthstone bracelet as a gift. 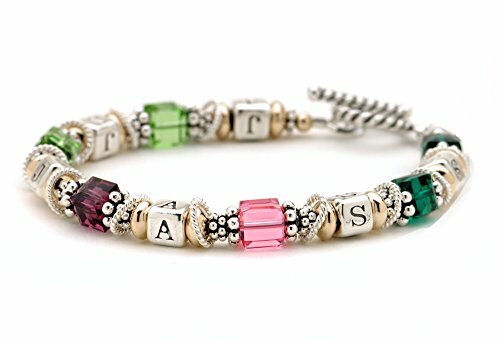 There are a number of beautiful charm bracelets that can contain birthstones and charms for her favorite activities. Pandora style or Alex and Ani style bracelets are very popular and can be added to in the future. 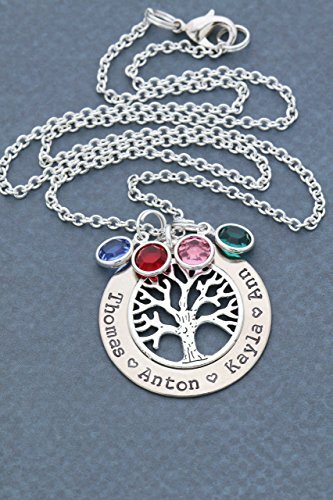 And, a mothers necklace can contain birthstones and charms with each child’s name on them. I have seen these charms in the shape of petals, hearts, and tiny feet. 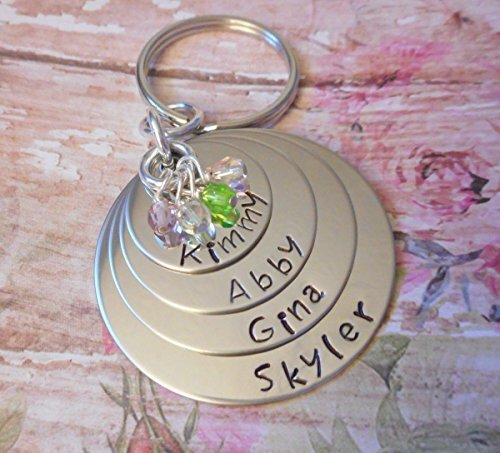 An added plus is that you can always add another charm and birthstone with the birth of another child. 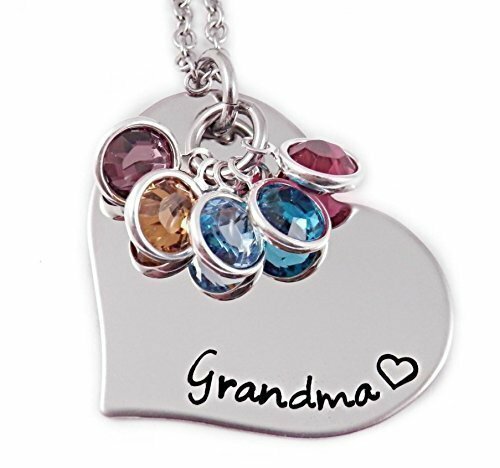 Remember, you may also want to consider a birthstone necklace for grandma. So, if you’re not sure what birthstone would be appropriate, here is a birthstone list to refer to. This is a list of traditional birthstones. Now, there are also modern interpretations for each birthstone which may be slightly different. So, once you’ve chosen mothers birthstone jewelry for your mom, it’s important to take care of it so it lasts longer. And, jewelry should be protected while it’s not being worn so a small jewelry box would be a wonderful idea to go along with the jewelry you choose. It should be removed when it might be exposed to household cleaners during dishwashing or cleaning. Now, what type of mothers birthstone jewelry are you considering this year? What beautiful options! I love that first necklace. That was one of my favorites too, Laura. I really thought so too, Margaret. Excellent gift idea and the jewelry is stunning! I agree. I’d love to receive some!